How can we help contacts on the fringe of the church to become inquirers seeking Jesus? A summer of sabbatical study has led me to one simple conclusion – we need conversations about Jesus. Churches need to be helping and encouraging Christians to talk about Jesus more boldly and wisely, confidently and effectively. Research by the Barna Group just published at www.talkingjesus.org reports that “44 per cent of practising Christians credit their friends for introducing them to Jesus”. However when not-yet-Christians were consulted, more than half of non-Christians who know a Christian said they had not had a conversation with that person about faith in Jesus. Clearly some Christians are missing opportunities to talk about Jesus. It’s why as part of my sabbatical I have produced a range of resources. The Good News is too good to leave to professionals or enthusiasts. We believe in the priesthood of all believers. We are all called to be ambassadors for Christ (2 Corinthians 5:18-21). In Acts the gospel was proclaimed not only by the apostles also by countless nameless believers who chattered the Good News and gossiped the gospel (Acts 8:1-4 and Acts 11:19-21). Evangelism can appear distasteful. We feel pressured by “political correctness”, scared of risking friendships, causing offence or embarrassment, or being laughed at or ignored. Talking to non-Christians, the Barna Group research found that the impact of conversations about Jesus is not always positive. The best way to help our friends on their journey to faith is most often through conversations exploring spirituality and sharing what we believe. So we need to talk – but how to do it? Some Christians are disillusioned because they fear they have failed in the past. We may be scared of being asked questions we can’t answer or saying the wrong thing. 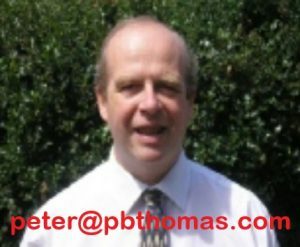 That’s why one of the fruits of my sabbatical study is “Prepared to Answer”, a ten-week programme of sermons and activities leading up to the evangelistic opportunities of Christmas. Our aim is to address the worries and fears that Christians face and help them to be able to explain the gospel confidently and clearly. We are considering common objections to faith and also the Six Big Questions spiritually minded non-Christians are asking about destiny, purpose, the origins of the universe, whether God exists, the supernatural and the problem of suffering (from Nick Spencer in Beyond the Fringe, Researching a Spiritual Age). We are discussing how to express key words and ideas in the Christian faith using language which is accessible to non-Christians. We are helping each other learn how to tell our stories of the difference God makes in our lives, of answers to prayer and our journeys to faith. We are committing to memory some Bible verses and stories about Jesus because sometimes the best thing we can do in conversations is simply to share Scripture and “unchain the lion” (Spurgeon). We are deliberately practising talking about Jesus with each other after our services. In all of this we are praying much more about our witness and we are seeking to “fan the flame” of passion for Jesus. When Christians are “prepared to answer” not only do we feel more confident when we speak but we are also more aware of the opportunities for conversations about Jesus as they arise. Taking Every Opportunity – Conversations About Jesus: A 12-page article on the theme. 42 Great Outreach Ideas: explaining a number of practical activities. Preaching the Gospel Necessarily Includes Words: an essay defending this important point. We need to pray for boldness (Acts 4:29-32), and I believe our churches can encourage and equip every Christian to talk about Jesus wherever we may be, helping overcome the different barriers that hinder us from talking about Jesus. It’s my hope and prayer that my studies can help us do that. We all need to talk more about Jesus. 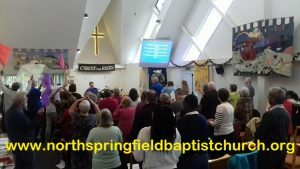 Prepared to Answer: the programme of sermons and activities helping members of North Springfield Baptist Church to talk about Jesus and discussing the rationale behind it.